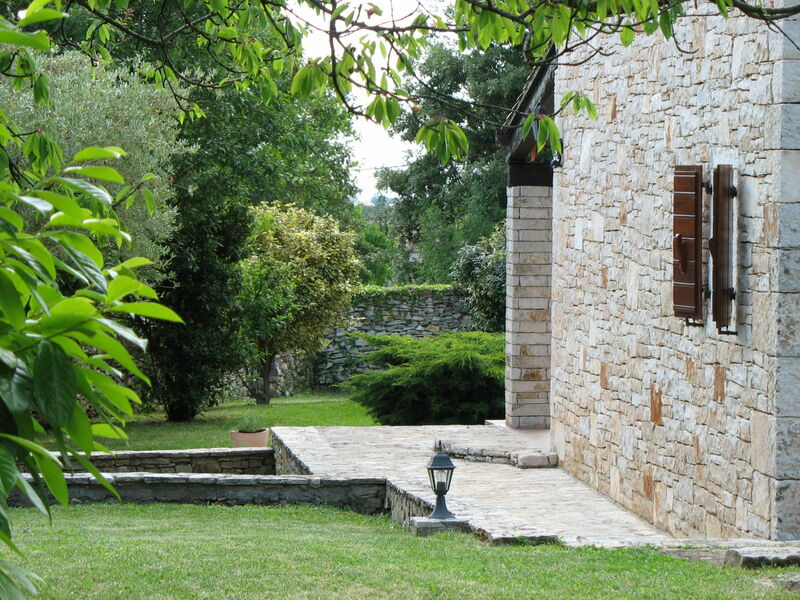 The villa is built with large stone blocks and contains large open space in the ground floor and three double bedrooms on the first floor. 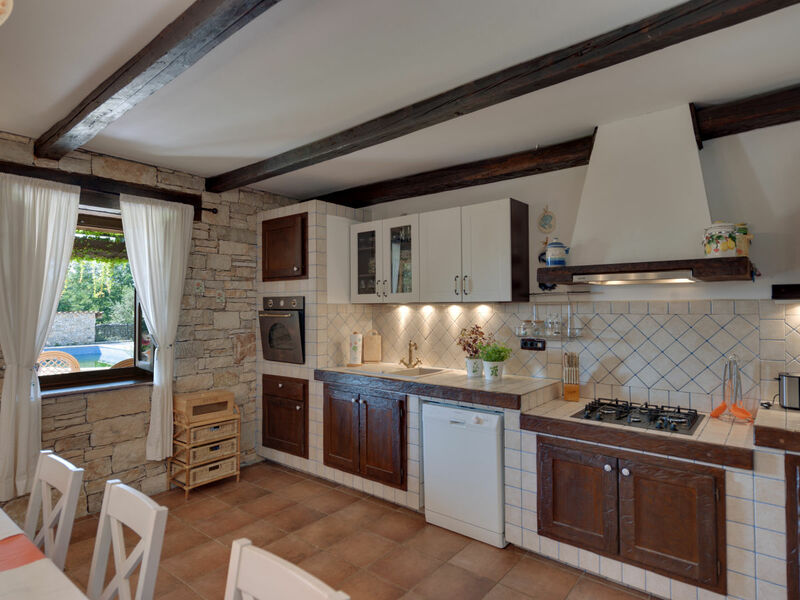 All the rooms upstairs have the air-condition but usually it is not needed as the wide solid stone walls keeps the heat outside. 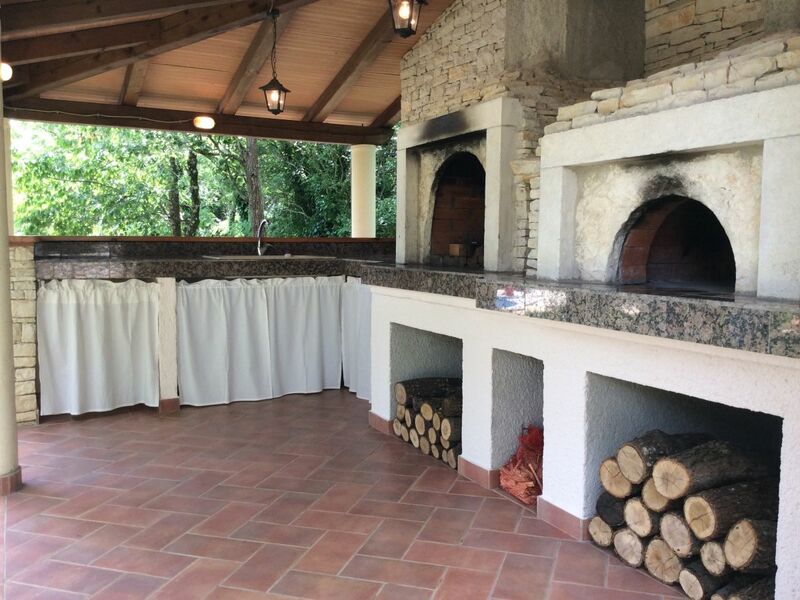 The barbeque has a lot of place to prepare the dinner and it is placed close to an unique garden table made of a big stone plate with heavy iron chairs around. 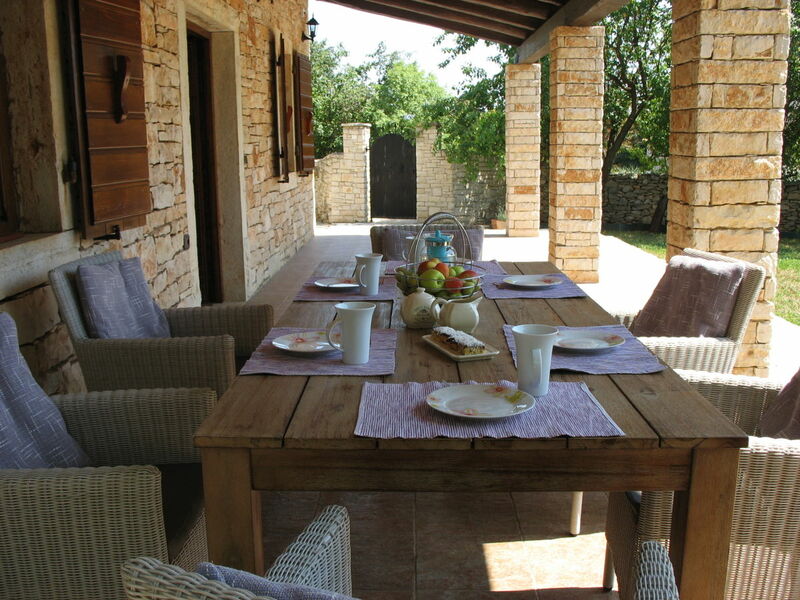 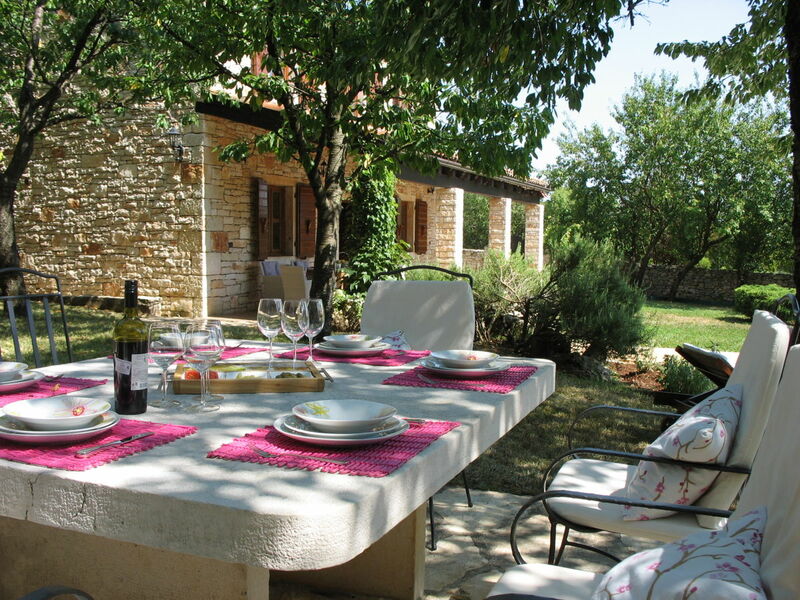 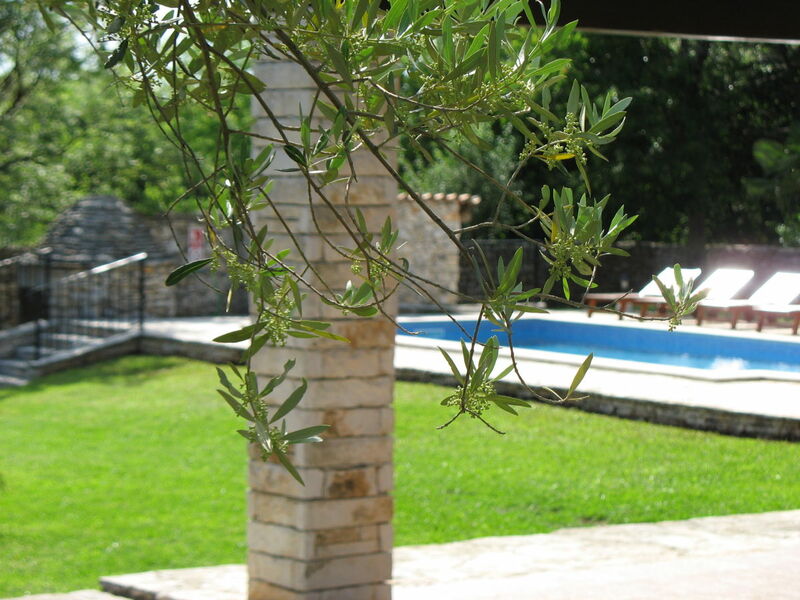 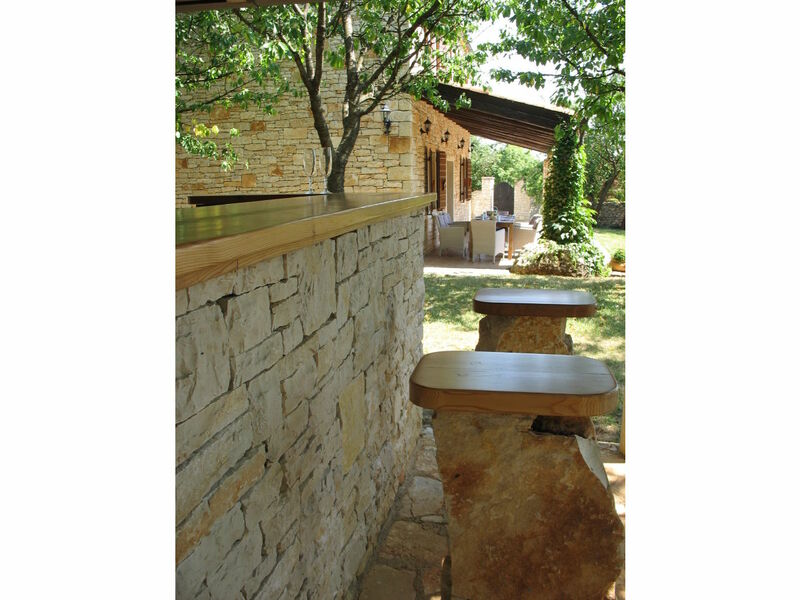 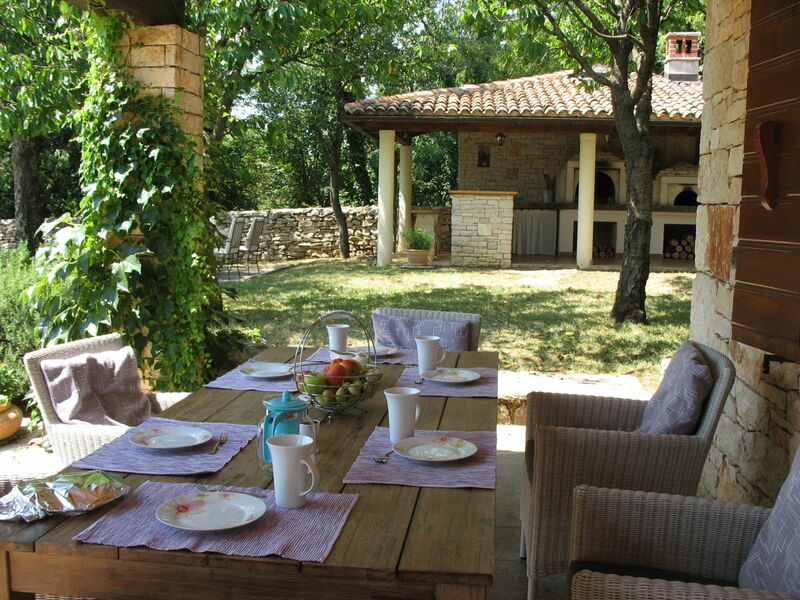 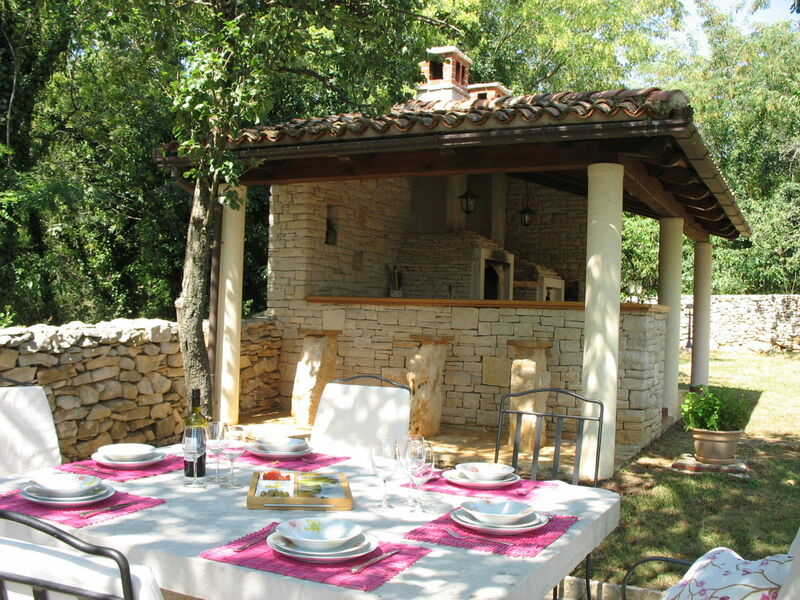 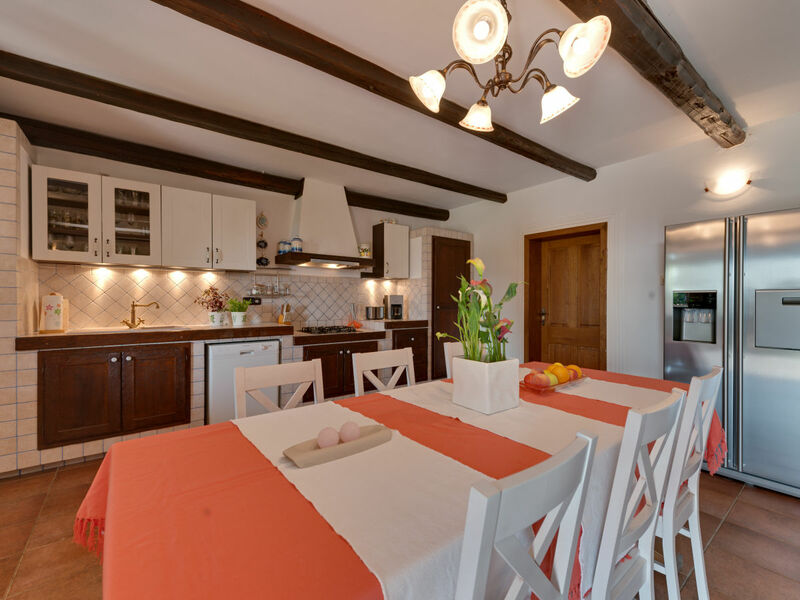 In a very quiet area, at the edge of a small Istrian village, the villa provides privacy for your family, a peaceful and safe, a comfort place in the Istrian land of calming greenery. 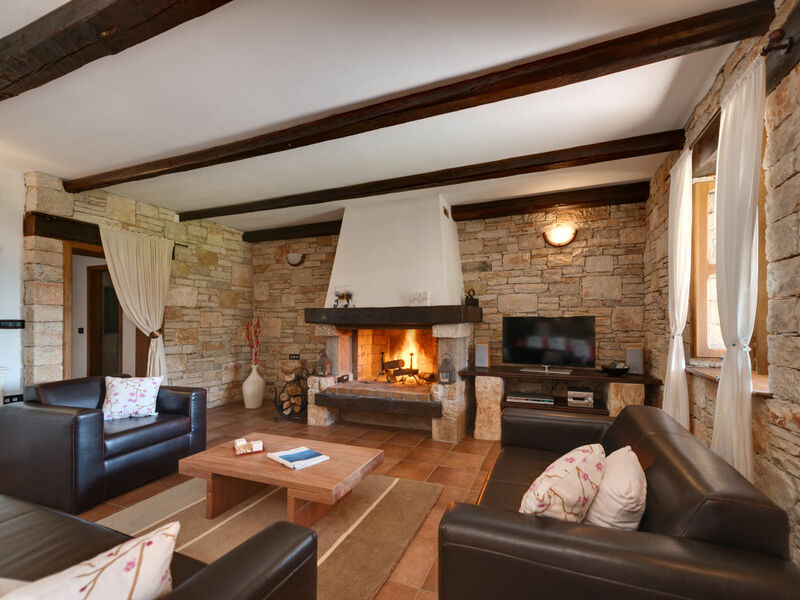 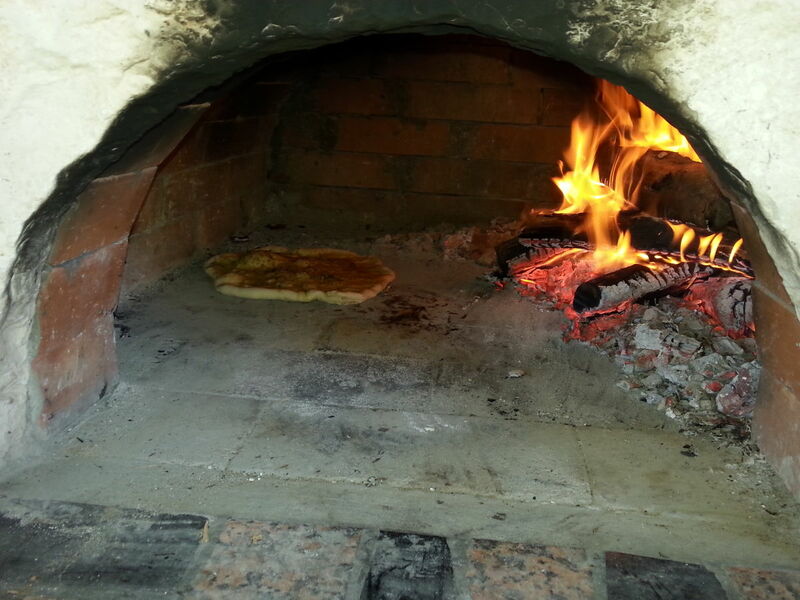 Yet, from this relaxing getaway, on easy reach, you may feel spirit of Istrian historic sites, enjoy the culture events, experience the taste of local food and wine. 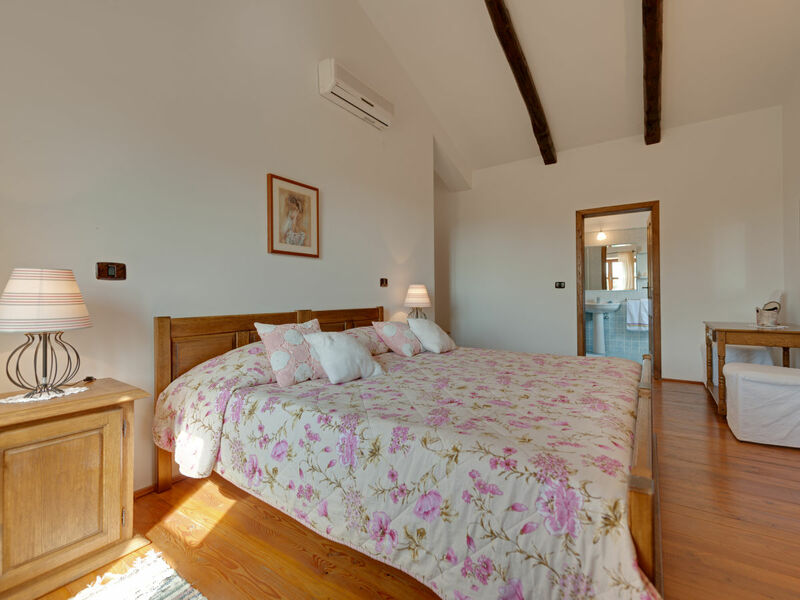 For the cancellation in the period between 41 and 35 days prior the arrival , KlickAndBook charges 10% of the full price of the reservation. 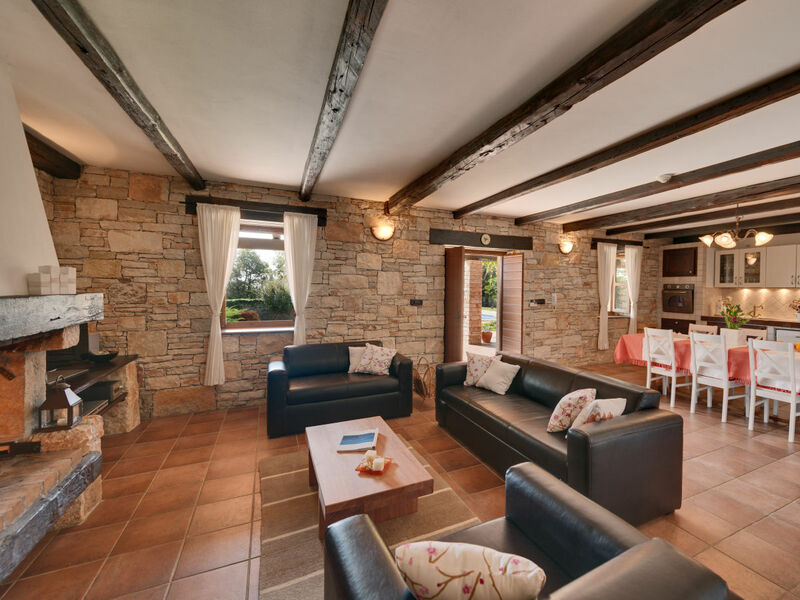 For the cancellation in the period between 27 and 21 days prior the arrival, KlickAndBook charges 45% of the full price of the reservation. 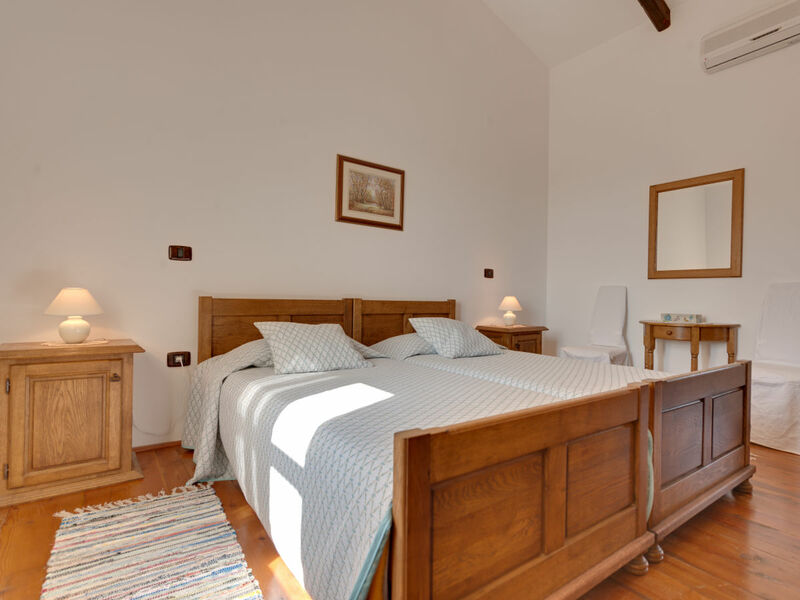 For the cancellation in the period between 20 and 0 days prior the arrival, KlickAndBook charges 70% of the full price of the reservation. 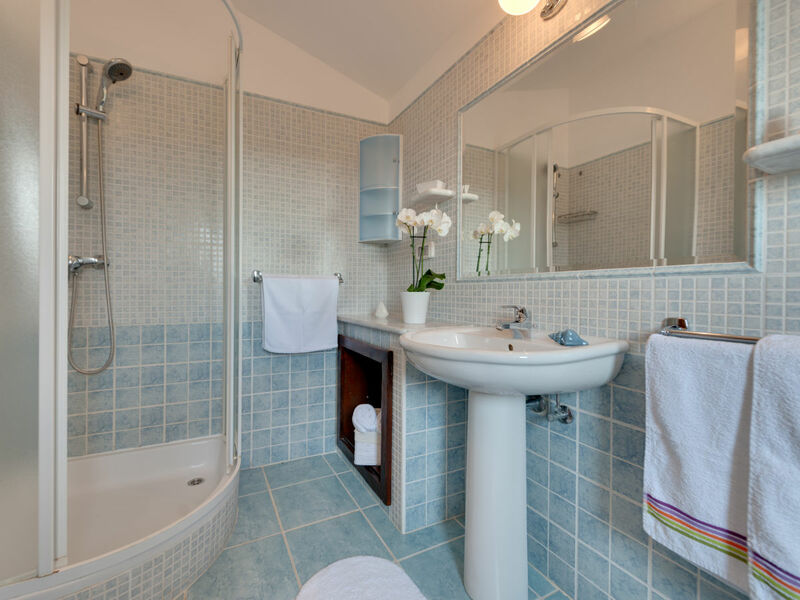 If the traveler does not arrive to the destination or cancels the service of the accommodation after it began, KlickAndBook charges the full price of the reservation. 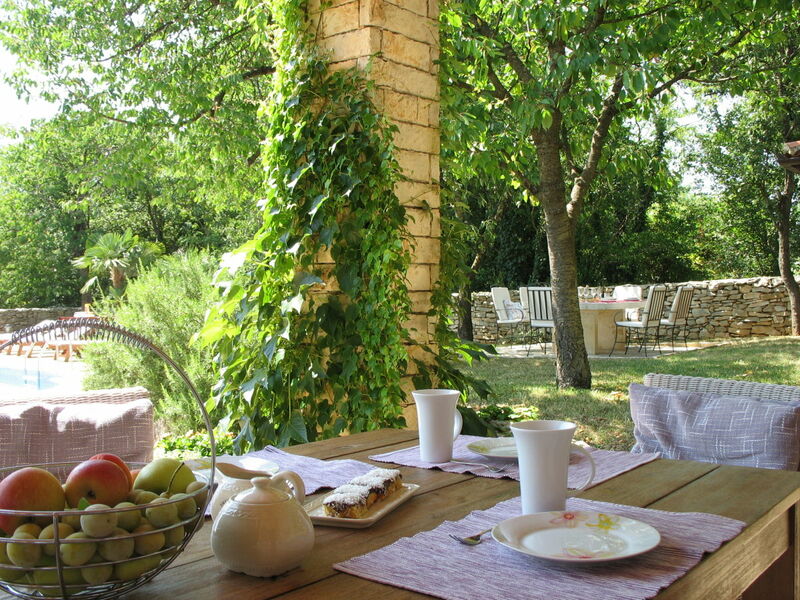 Deposit payment of 30% is non refundable.